WASHINGTON — A new military strategy to meet President Donald Trump’s demand to “obliterate” the Islamic State group is likely to deepen U.S. military involvement in Syria, possibly with more ground troops, even as the current U.S. approach in Iraq appears to be working and will require fewer changes. Marine Corps Gen. Joseph Dunford, chairman of the Joint Chiefs of Staff, said Thursday that the emerging strategy will take aim not just at the Islamic State militants but at al-Qaida and other extremist organizations in the Middle East and beyond, whose goal is to attack the United States. He emphasized that it would not rest mainly on military might. Dunford’s comment suggests that Pentagon leaders have a more nuanced view of the IS problem than is reflected in Trump’s promise to “obliterate” the group, as he put it on Friday. Dunford said the U.S. should be careful that in solving the IS problem it does not create others, hinting at the sensitive question of how to deal with Turkey, which is a NATO ally with much at stake in neighboring Syria, and Russia, whose military action in Syria has had the effect of propping up the Syrian regime. 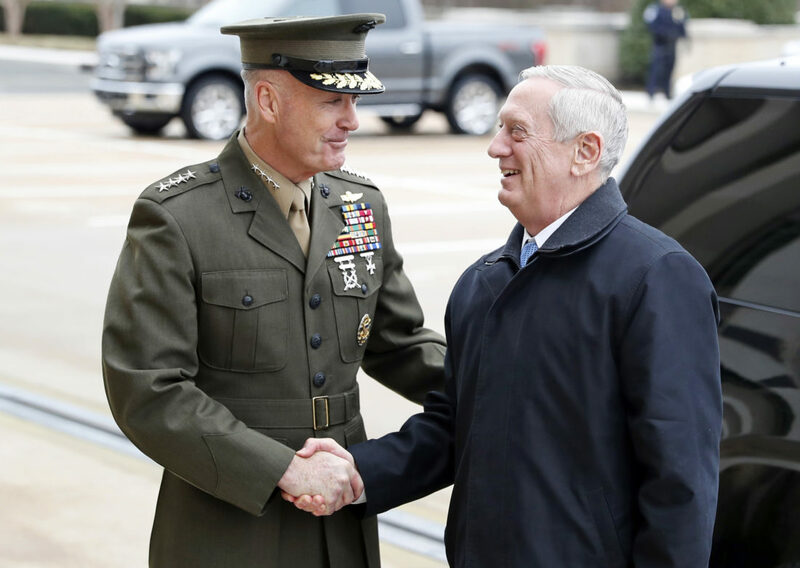 Defense Secretary Jim Mattis is giving the White House the ingredients of a strategy, which officials say will be fleshed out once Trump has considered the options. Officials described the Mattis report as a “framework” built on broad concepts and based on advice from the State Department, the CIA and other agencies. Officials have indicated the recommended approaches will echo central elements of the Obama administration’s strategy, which was based on the idea that the U.S. military should support local forces rather than do the fighting for them. Mattis already has signaled publicly that he sees no value in having U.S. combat forces take over the ground war.